Dave Savage from recruitment experts Harvey Nash hosts TechTalks - frank conversations with inventors, entrepreneurs and experts from the tech sector. From blockchain to self driving cars to fintech, the podcast series looks at the big (and small) trends that are changing our world. 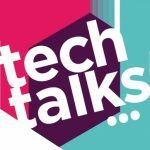 www.tech-talks.co.uk.